At least 39 gas explosions and multiple fires were reported from north Boston in Massachusetts. According to reports, residents of north Boston have also been asked to evacuate immediately with 1 teenager reported to have succumbed to injuries. As per the Massachusetts State Police, the policemen responded to at least 70 cases of gas odour, explosions, and fires. 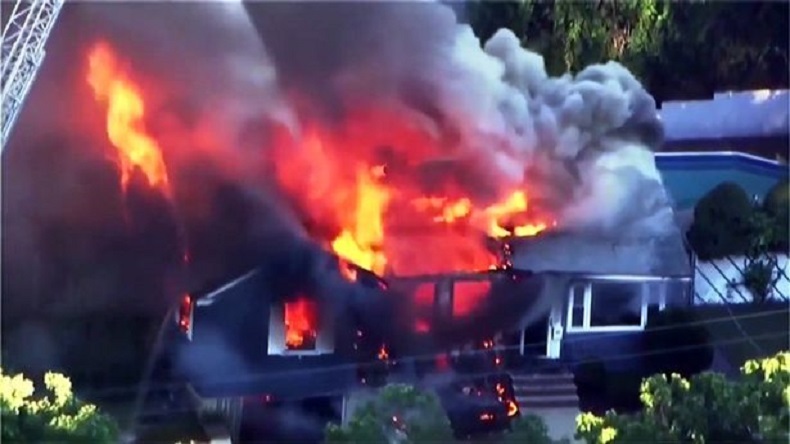 At least 39 gas explosions and multiple fires were reported from north Boston in Massachusetts on Thursday evening with 4 people including 1 firefighter sustaining injuries. According to reports, residents of north Boston have also been asked to evacuate immediately with 1 teenager reported to have succumbed to injuries. As per reports coming in, the explosions began at about 5 pm when several explosions occurred in buildings in the towns of Lawrence, Andover, and North Andover. As per the Massachusetts State Police, the policemen responded to at least 70 cases of gas odour, explosions, and fires. 35 cases were reported in Andover alone. At least 18 fires were burning at the same time at several blocks across Lawrence and North Andover. The injured are being attended to at Lawrence General Hospital and 2 people are said to be in critical state. As per reports there were so many fires at that time that people could not even see the sky. While the investigations are still on, the officials have blamed the gas lines that had become over-pressurized. Soon after the fire, Andover police sent out an alarm urging residents to evacuate their homes and turn their gas pipes off. Lawrence Mayor Dan Rivera said that all the residents have been asked to evacuate their homes. “What we need folks to do is that if it’s happening in your home, you have a funny smell, just evacuate, come out to the street,” he said.